Engine Code: 8140.27. Engine Code: 8140.47. Engine Code: 8140.23. Engine Code: 8140.43R. Engine Code: 8144.61.500.81. Engine Code: 8140.43N. Engine Code: 8140.47R. Engine Code: 8140.43C. FIAT 552040190, 71749704. Function Thrust Washer, crankshaft. LANCIA MUSA (350_) 1.6 D Multijet MPV Diesel 07/2008 09/2012 FWD 16 116 85. LANCIA MUSA (350_) 1.6 D Multijet MPV Diesel 07/2008 09/2012 FWD 16 120 88. Part Number: LCS274 (Ref.Only). Model: MUSA. LANCIA MUSA 1.6 D Multijet 1.6/1598 7/2008- 4/4 Diesel/MPV 88/120 Front Wheel Drive 350 A2.000. LANCIA MUSA 1.6 D Multijet 1.6/1598 7/2008- 4/4 Diesel/MPV 85/116 Front Wheel Drive 350 A2.000; 350 A3.000. DRIVER SHAFT BELOW. 01.2002 - 02.2007. COROLLA Combi (_E12_): 1.6 VVT-i (ZZE121_). COROLLA Combi (_E12_): 1.4 VVT-i (ZZE120_). 07.2004 - 07.2007. COROLLA Saloon (_E12_): 1.4 D-4D (NDE120_). 08.2002 - 07.2007. LANCIA MUSA 350 1.4 RPM / Crankshaft Sensor 04 to 12 CI. LANCIA MUSA (350_) 1.4 LPG MPV Petrol/Petroleum Gas (LPG) 11/2010 09/2012 FWD 8 78 57. LANCIA MUSA (350_) 1.4 MPV Petrol 10/2004 09/2012 FWD 16 95 70. LANCIA MUSA 350 1.4 RPM / Crankshaft Sensor 05 to 12 350A1.000 CI. LANCIA MUSA (350_) 1.4 MPV Petrol 09/2005 09/2012 FWD 8 78 57. LANCIA MUSA (350_) 1.4 LPG MPV Petrol/Petroleum Gas (LPG) 11/2010 09/2012 FWD 8 78 57. 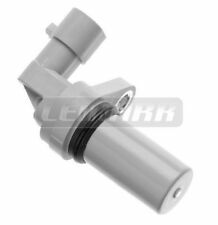 Febi Crankshaft Sensor Lancia Musa Ypsilon FIAT 500 312 C Doblo Fiorino Gr 44841 - Free Delivery from Simply Car Parts - Brand New Febi Bilstein part - 1 Years Manufacturers Warranty. 1.9 JTD 16V 93 126 1910 09.2003 -> 09.2004. 1.9 JTD 16V 100 136 1910 10.2004 -> 03.2010. 1.9 JTD 16V 103 140 1910 11.2002 -> 03.2010. 1.9 JTD 93 126 1910 11.2003 -> 09.2005. 1.9 JTD 100 136 1910 11.2002 -> 11.2004. This is an original quality part manufactured by Bosch. Part specifications. LANCIA 46815160. LANCIA MUSA (350_) 1.4 MPV Petrol 10/2007 09/2012 FWD 16 90 66. LANCIA MUSA (350_) 1.4 MPV Petrol 10/2004 09/2012 FWD 16 95 70. Function Sensor, crankshaft pulse. LANCIA DELTA III (844_) 1.4 Hatchback Petrol 09/2008 08/2014 FWD 16 150 110. 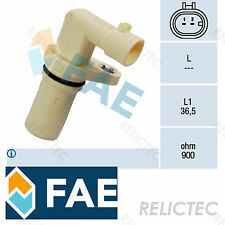 LANCIA MUSA 350 1.4 RPM / Crankshaft Sensor 05 to 12 350A1.000 Febi. LANCIA MUSA (350_) 1.4 MPV Petrol 09/2005 09/2012 FWD 8 78 57. LANCIA MUSA (350_) 1.4 LPG MPV Petrol/Petroleum Gas (LPG) 11/2010 09/2012 FWD 8 78 57. FIAT 46798345. LANCIA MUSA (350_) 1.6 D Multijet MPV Diesel 07/2008 09/2012 FWD 16 120 88. LANCIA MUSA (350_) 1.6 D Multijet MPV Diesel 07/2008 09/2012 FWD 16 116 85. Function Sensor, crankshaft pulse. FIAT 46798352. LANCIA MUSA (350_) 1.9 D Multijet MPV Diesel 10/2004 09/2012 FWD 8 101 74. Function Sensor, crankshaft pulse. Sensor Type Inductive Sensor. LANCIA LYBRA (839_) 2.4 JTD (839AXE1A) Saloon Diesel 07/1999 02/2001 FWD 10 135 99. LANCIA 55224031, 55239747. LANCIA MUSA (350_) 1.4 MPV Petrol 10/2007 09/2012 FWD 16 90 66. LANCIA MUSA (350_) 1.4 MPV Petrol 10/2004 09/2012 FWD 16 95 70. Function Sensor, crankshaft pulse. LANCIA DELTA III (844_) 1.4 16V Hatchback Petrol 07/2010 08/2014 FWD 16 140 103. FIAT 55187380, 55229700. LANCIA MUSA (350_) 1.4 MPV Petrol 09/2005 09/2012 FWD 8 78 57. LANCIA MUSA (350_) 1.4 LPG MPV Petrol/Petroleum Gas (LPG) 11/2010 09/2012 FWD 8 78 57. Function Sensor, crankshaft pulse. FIAT 73502752. LANCIA MUSA (350_) 1.3 D Multijet MPV Diesel 10/2004 09/2012 FWD 16 70 51. LANCIA MUSA (350_) 1.3 D Multijet MPV Diesel 09/2006 09/2012 FWD 16 90 66. Function Sensor, crankshaft pulse. Sensor Type Inductive Sensor. CHEVROLET 12855170, 93179391. OPEL 06235666, 6235666. VAUXHALL 12855170, 93179391. LANCIA MUSA (350_) 1.6 D Multijet MPV Diesel 07/2008 09/2012 FWD 16 116 85. LANCIA MUSA (350_) 1.6 D Multijet MPV Diesel 07/2008 09/2012 FWD 16 120 88. OPEL 93179433. SAAB 93179433. VAUXHALL 93179433. LANCIA 46798352. LANCIA MUSA (350_) 1.9 D Multijet MPV Diesel 10/2004 09/2012 FWD 8 101 74. Function Sensor, crankshaft pulse. LANCIA DELTA III (844_) 1.8 Hatchback Petrol 01/2009 08/2014 FWD 16 200 147. FIAT BRAVO II (198_) 1.9 D Multijet Hatchback Diesel 04/2007 on FWD 16 150 110. FIAT BRAVO II (198_) 2.0 D Multijet Hatchback Diesel 09/2008 on FWD 16 163 120. FIAT BRAVO II (198_) 2.0 D Multijet Hatchback Diesel 09/2008 on FWD 16 165 121. FORD 1564860 9S519E731AA. GMC 73502752 93178045. RPM / Crankshaft Sensor 0986280424 Bosch. Part Number 0986280424. FIAT 73502752. LANCIA 73502752. OPEL 12855457 6235645 73502752. VAUXHALL 12855457 6235645 73502752. FORD 1564860, 9S519E731AA. LANCIA 73502752. LANCIA MUSA (350_) 1.3 D Multijet MPV Diesel 10/2004 09/2012 FWD 16 70 51. LANCIA MUSA (350_) 1.3 D Multijet MPV Diesel 03/2009 09/2012 FWD 16 95 70. LANCIA MUSA (350_) 1.3 D Multijet MPV Diesel 09/2006 09/2012 FWD 16 90 66. The introduction of emissions legislation into MOT tests during the following years, made Fuel Parts a popular supplier for this growing market. Direct Fit. DIY Car Service Parts. SMPE - The UK's leading automotive parts manufacturer and supplier. LANCIA MUSA 350 1.3D RPM / Crankshaft Sensor 04 to 12 ADL. LANCIA MUSA (350_) 1.3 D Multijet MPV Diesel 10/2004 09/2012 FWD 16 70 51. LANCIA MUSA (350_) 1.3 D Multijet MPV Diesel 03/2009 09/2012 FWD 16 95 70. Sensor Type:Inductive Sensor. Connecting Angle:90 Degree. This is an original quality part manufactured by Fuel Parts. Width:50 mm. Connector Shape:Oval. Resistance:900 Ohm. Number Of Poles:2. Distributors and Independent Repairers alike recognise this pedigree. Lambda Sensors. Spark Plug Tools. Glow Plugs. Spark Plugs. DIY Car Service Parts. Denso Glow Plugs. Bosch Glow Plugs. FORD 1547993, 1564860. LANCIA MUSA (350_) 1.3 D Multijet MPV Diesel 10/2004 09/2012 FWD 16 70 51. LANCIA MUSA (350_) 1.3 D Multijet MPV Diesel 09/2006 09/2012 FWD 16 90 66. LANCIA MUSA (350_) 1.3 D Multijet MPV Diesel 03/2009 09/2012 FWD 16 95 70. RPM / Crankshaft Sensor VE363101 Cambiare. Part Number VE363101. FORD 1535716 1564811 1699523 9S519E731BA AS519E731AA. FIAT PANDA (169) 1.2 Bi-Power / Natural Power Hatchback Bi-Fuel 01/2007 on FWD 8 60 44. 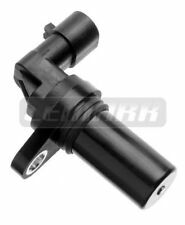 RPM / Crankshaft Sensor VE363096 Cambiare. Part Number VE363096. OPEL/VAUXHALL 6235664. SUZUKI 3322079JR0000. VAUXHALL 6235664. VAUXHALL ZAFIRA Mk II (B) (A05) 1.9 CDTI MPV Diesel 07/2005 11/2014 FWD 8 100 74. OPTIMAL AG & Co. Despite its large growth, OPTIMAL AG & Co. Part: Crankshaft Pulleys. We will guide you through the process to make everything as easy as possible. Technical Specification. We pride ourselves in being the Car Parts Experts, with our team collectively having over 250 years of experience in the automotive sector, and our passion for all things automotive has helped us build a product range to suit every possible need you will have for your car. Lambda Sensors. Spark Plug Tools. Glow Plugs. Spark Plugs. DIY Car Service Parts. Bosch Glow Plugs. NGK Glow Plugs. Cross ReferenceXCS6338,48418,LVEP118,70 94 8418,V24-1704,WG1796014. Part Number: LCS277 (Ref.Only). Model: MUSA. LANCIA MUSA 1.4 LPG 1.4/1368 1/2010- 4/2 Petrol/Petroleum Gas (LPG)/MPV 57/78 Front Wheel Drive 350 A1.000. LANCIA MUSA 1.4 1.4/1368 9/2005- 4/2 Petrol/MPV 57/78 Front Wheel Drive 350 A1.000. Lambda Sensors. Spark Plug Tools. Glow Plugs. Spark Plugs. DIY Car Service Parts. Bosch Glow Plugs. Cross Reference48419,LVEP156,70 94 8419,WG1796015. Bosch Spark Plugs. FIAT 55187380, 55229700. FORD 1535716, 1564811, 9S519E731BA. Part Number 19026. Function Sensor, crankshaft pulse. Sensor Type Inductive Sensor. LANCIA MUSA (350_) 1.4 LPG MPV Petrol/Petroleum Gas (LPG) 11/2010 09/2012 FWD 8 78 57. RPM / Crankshaft Sensor 0261210238 Bosch. Part Number 0261210238. FIAT 46815160. LANCIA 46815160. Function Sensor, crankshaft pulse. FIAT DOBLO Platform/Chassis (263_) 1.4 Natural Power Platform/Chassis Petrol/Natural Gas (CNG) 06/2010 on FWD 16 120 88.